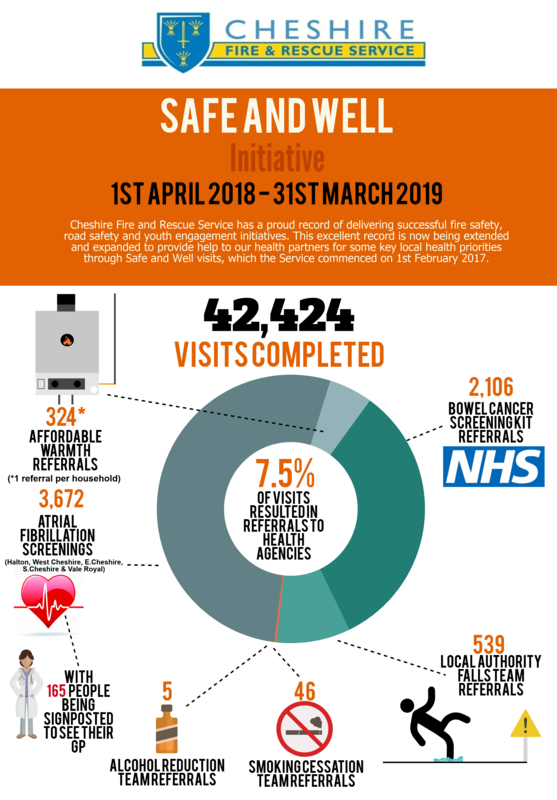 The infographic below shows the work Cheshire Fire and Rescue Service firefighters and prevention staff conducted during the 2018/2019 financial year. The free Safe and Well Visits - for the over 65s and people who are referred to the fire service by partner agencies because they are considered to be at a particular risk - see Cheshire firefighters and advocates provide far more than the traditional fire safety and smoke alarm advice. They have received additional training to provide advice on slips, trips and falls prevention and winter warmth safety during Safe and Well Visits, as well as using a basic ECG device to check for atrial fibrillation, encouraging people to use a free bowel cancer screening kit and offering additional support to those who wish to stop smoking or taking drugs or reduce their alcohol consumption. Nick Evans, head of prevention at Cheshire Fire and Rescue Service, said: “The latest figures for 2018/2019 show that without a Safe and Well Visit more than 42,000 people in Cheshire may have suffered adversely through not knowing where to turn or not realising they may have something needing medical attention. 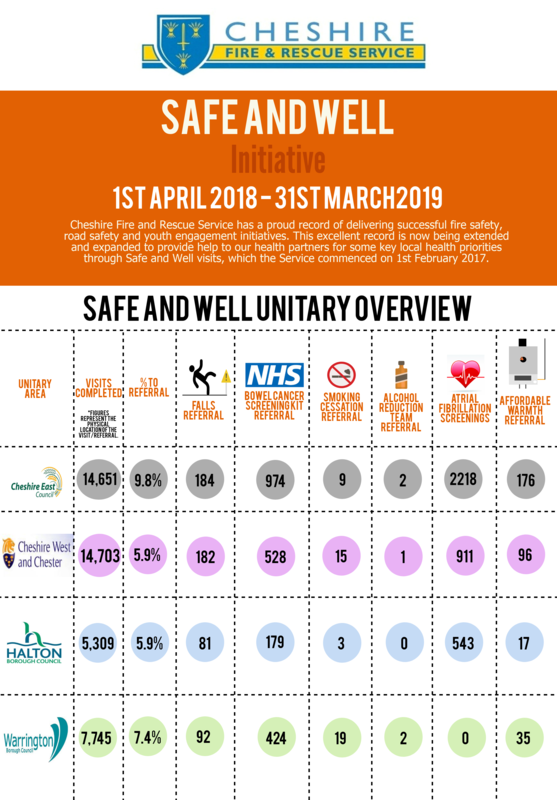 “Cheshire firefighters and prevention staff have carried out an impressively large number of Safe and Well Visits since the pioneering programme was launched and the figures show that it has been an overwhelming success.